The I-225 is a Rank IV Russian fighter with a battle rating of 6.3 (AB/RB/SB). This fighter was introduced in Update 1.81 "The Valkyries". 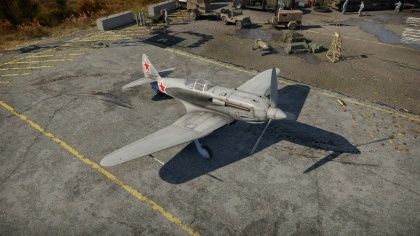 The I-225 is the latest claim to the throne of Russian prop-fighters! With its high speed at high altitudes, decent armament, good turning capabilities and insane climb rate, this Super-MiG is the best all around dog-fighter Russia has to offer. Although relatively useless as an interceptor in real life, the I-225 is quite potent in War Thunder, being one of 4 Russian Props that is good at altitude, which is very unique for the Russian tree that is mostly comprised of low-altitude prop planes. From take-off and into the fight, this MiG is an overall smooth operator and can be very competitive even when facing early jets. ? ? 10 450 ??.? ??.? ??.? ??.? ??? 820 320 360 km/h ~?? ~? The I-225 can be used to climb to bomber altitude (4-6 km) and act as an interceptor, and it can perform this role amicably with its good climb rate, high speed and fast firing quad ShVAK 20 mm cannons that can start fires. Be wary that the MiG has no bulletproof glass in the front to protect this pilot, so you should never tail any bomber and approach from oblique angles or force head-ons. Also its armament of four 20 mm can be lacking against large aircraft, so I-225 players will likely have to expend all of their ammo in a bomber if they want to bring it down. If one either destroys all the bombers or there are no bombers to be found, you are free to fly as a fighter versus other fighters. 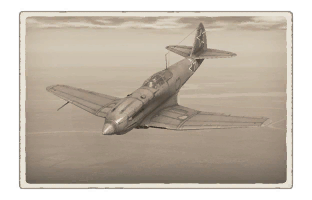 When engaging fighters, primarily try to employ a Boom-&-Zoom or energy fighting tactics which are exceptionally great when performed at high altitudes. Versus less maneuverable planes such as the F8F-1B, you can potentially turn-fight but be careful to not lose too much energy, as you may struggle to regain it. Also avoid tunnel visioning. Massive fuel consumption when using WEP. Not recommended to use minimal fuel, stick to 20 minutes whenever possible. The experimental high-altitude fighter/interceptor I-225 was created in the Mikoyan design bureau as part of work to develop new prototypes of fighter aircraft with new engines. The first experimental prototype was finished by May 9, 1944. The aircraft was designed to carry a powertrain consisting of a 2000 horsepower aircraft engine and a turbocharger. Its armament in comparison with previous prototypes was strengthened and consisted of four 20mm ShVAK cannons. In testing (primarily tests of the fighter’s speed and altitude options) the aircraft showed impressive results: it could reach a speed of almost 560 km/h near the ground and 720 km/h at high altitude. Just two I-225s were built for testing purposes. For various reasons, both aircraft crashed in testing. After a range of improvements and upgrades, in March 1947 work on this project was stopped. This page was last edited on 8 April 2019, at 06:36.